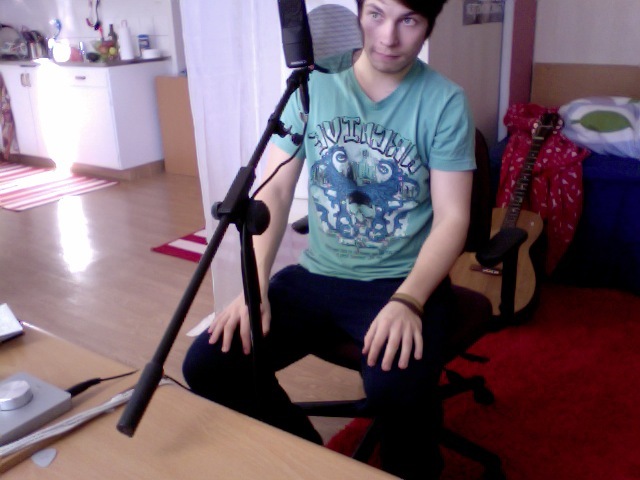 Hello everybody, today I'm gonna record some harmonies for the new songs. And no one can stop me! So there's sure gonna be some stuff for Petter to mix when I'm done, hehe. Btw, it's very nice that the sun is back! It's like 20 degrees Celcius in the sun, so the snowsculptures I made the other day will soon be gone. But that's just fine #gottalovespring! Enjoy the weekend, now I'm gonna sing!